Gaming the System takes an active approach to learning about American government, using novel, exciting, and highly instructive games to help students learn politics by living it. These timeless games are the perfect complement to a core textbook in American government – covering key topics like the Constitution, the Supreme Court, Congress, political participation, campaigns and elections, the federal bureaucracy, the social contract, social movements, and public opinion – and can be applied to specific courses at other levels, as well. student handouts and scoresheets, and more. For Students: These games immerse participants in crucial narratives, build content knowledge, and improve critical thinking skills—at the same time providing an entertaining way to learn key lessons about American government. Each chapter contains complete instructions, materials, and discussion questions in a concise and ready-to-use form, in addition to time-saving tools like scorecards and "cheat sheets." The games contribute to course understanding, lifelong learning, and meaningful citizenship. "This is the classroom game book political science has been waiting for. In Gaming the System, editors Alex H Cohen, John Alden, Jon Ring and their contributors neatly package a breath of subfield exercises that test concepts, challenge students, and support active learning. This book gives time back to teachers hunting through learning activity haystacks, with every game easy to setup and distribute, and further tailorable to meet specific course objectives. Even better, each game has been rigorously playtested to assure educators that these games work. I wish I had this book years ago—a must-have for active learning classrooms." 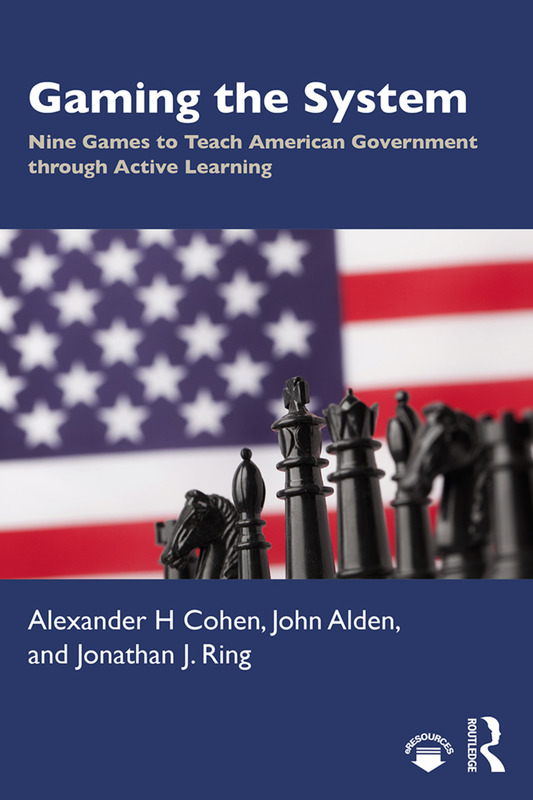 "The book Gaming the System: Nine Games to Teach American Government Through Active Learning providesa plethora of useful games and simulations for the effective teaching of American government that will engage students and allow them to discuss the activity of their classmates and themselves in a way that will create much richer and more productive classroom discussions and analysis." Alexander H Cohen is an Assistant Professor of Political Science at Clarkson University in Potsdam, New York. He is an avid board and video gamer, and regularly uses active learning in his classroom. His research interests include the effect of weather on political outcomes, institutional assessment, pedagogy, and zombies. His most recent book was entitled Living with Zombies. John Alden is a social studies teacher in the Williamsburg Community School District in Iowa. He teaches 9th and 12th graders, covering the topics of geography and government. He earned his master’s degree in social studies education from the University of Iowa where he also met his coauthors. Jonathan J. Ring is a lecturer in the Department of Political Science and a Global Security Fellow in the Baker Center for Public Policy at the University of Tennessee.